Bored with the same old point-and-shoot designs? 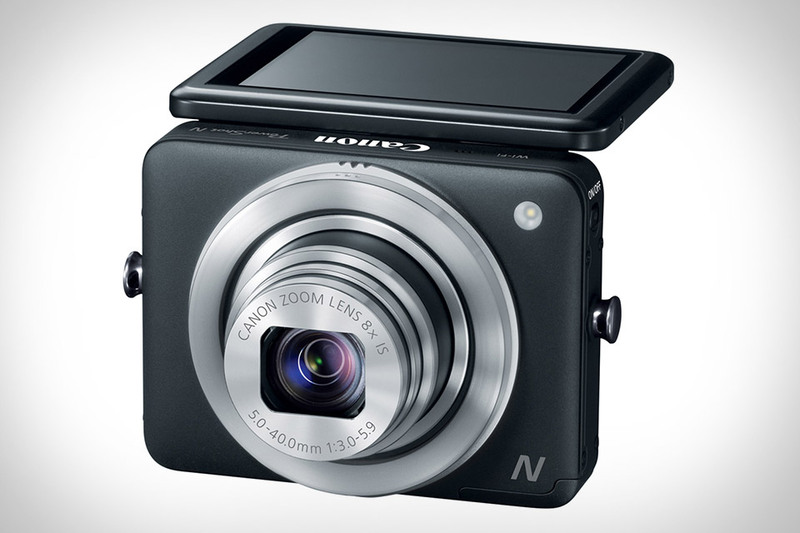 The Canon PowerShot N Camera ($300) should pique your interest. Sporting an unusual squarish shape, the PowerShot N eschews the typical top-mounted zoom ring and shutter combination by moving both controls to rings around the lens. A 2.8-inch tilting touchscreen LCD comprises the rear of the device, letting you shoot photos at nearly any angle, while a 12.1 megapixel sensor, 28mm wide-angle lens with 8x optical zoom, and a DIGIC 5 Image Processor provide superb images. Other features include built-in Wi-Fi for convenient sharing, a new Creative Shot mode that automatically creates a series of five "artistic" shots with varying composition, lighting, and color from each photo, and 1080p video recording.